The Honor View 20 is set to land on Indian shores soon. The international variant of the Honor V20 will make its global debut at a press event in Paris on January 22, and the Indian launch is scheduled a week later on January 29. The Honor View 20 is the first smartphone from the Chinese smartphone giant with a selfie camera display hole and a 48-megapixel rear camera sensor. We got to spend some time with the phone before the official launch and here are our initial impressions. The notch is a very divisive design trend, and is a product of necessity to facilitate the tall, narrow bordered smartphones of today. Smartphone manufactures have come up with innovative solutions to eliminate the notch such as pop-up front cameras, dual displays, and sliding smartphones. The latest such attempt involves a display hole for the selfie camera, a design which has already been embraced by Samsung and Huawei. In fact, Honor timed the announcement of the V20 — the Chinese variant of the View 20 — specifically to beat Samsung to the game, which launched its first smartphone with a selfie camera display hole, the Galaxy A8s, within hours of the event. The textured back has a laser etched reflective V pattern, which looks extremely chic and stylish. Blue has become Honor's signature colour and the View 20 is also offered in a sleek Sapphire Blue variant. There are two other shades on offer — Red, and Black, which look slightly more sober. Thanks to the selfie camera display hole and the subsequent lack of a notch, the front fascia is dominated by the 6.4-inch full-HD+ IPS display. While the term bezel-less is thrown around quite liberally, this smartphone truly comes close to that description. First-party apps accommodate the display hole, which is good to see. We were quite pleased with the display in the limited time we used the smartphone. Colours are vivid and punchy, viewing angles are top-notch, and the display is bright enough for outdoor use. As usual, a final verdict will have to wait till we can analyse the smartphone in detail. The retail box we received contains a transparent TPU case of mediocre quality, a 40W fast charger, and a USB Type-C cable. This is not the official Indian retail box, so the contents might wary when the phone launches in India on November 29. We do hope Honor bundles a decent pair of earphones with their flagship smartphone. The single loudspeaker, primary microphone, and USB Type-C port can be found at the bottom of the smartphone, with the 3.5mm jack and secondary microphone located up top. The lack of stereo speakers is disappointing in a high-end smartphone, and the solitary speaker lacks warmth. The right edge houses the volume rocker, and power button, and the dual-SIM tray resides on the left panel. The rear-mounted fingerprint sensor is fast and accurate and the setup process is a breeze. The lack of an in-display sensor does not bother us much as the technology is still in its infancy and is quite slow and inaccurate at present. The smartphone is powered by Huawei's top-of-the line HiSilicon Kirin 980 processor, paired with 6GB of RAM. The Kirin 980 chipset has two Neural Processing Units, which facilitate AI computations on the device itself. Honor claims on-device AI is not only faster than cloud based solutions, but is also more secure. Other specifications include 128GB of internal storage which cannot be expanded upon and a non-removable 4,000mAh battery with 40W fast charging. There are two other variants on offer — one with 8GB of RAM and 128GB of storage, and another with 8GB of RAM and 256GB of storage. It is not known at the moment whether these will launch in India. On the connectivity front, the phone supports Bluetooth v5.0, Wi-Fi 802.11 a/b/g/n/ac, GPS/A-GPS, and GLONASS. Thanks to the Kirin 980 processor, performance is pretty much butter smooth. We are yet to push the phone and play resource intensive games, but can safely testify that the phone handles day-to-day use with aplomb. Honor has refreshed its software with the View 20. EMUI has made way for what Honor is calling Magic UI 2.0 (based on Android 9.0 Pie). Along with a new coat of paint, Honor has finally simplified its settings menu and reduced the amount of gestures and custom features. The multitude of first-party applications which perform the same function as Google's own are still there, which is a bit disappointing. On the imaging front, the Honor View 20 has a dual camera setup at the back comprised of a 48-megapixel primary sensor with an aperture of f/1.8 and a secondary 3D Time of Flight (ToF) sensor. Up front, there is a fixed-focus 25-megapixel camera with an aperture of f/2.0. The smartphone intelligently detects the scene being shot and optimises image settings accordingly. Other camera features include a fully featured Pro mode, a Night mode which allows users to tweak the ISO and shutter speed, AR stickers, 3D avatars which make use of the secondary TOF sensor, slow-motion video (up to 960fps), and time-lapse. We will take a deep dive into all of these in our full review. The Honor View 20 is stuffed to the gills with features and with a price tag of around Rs. 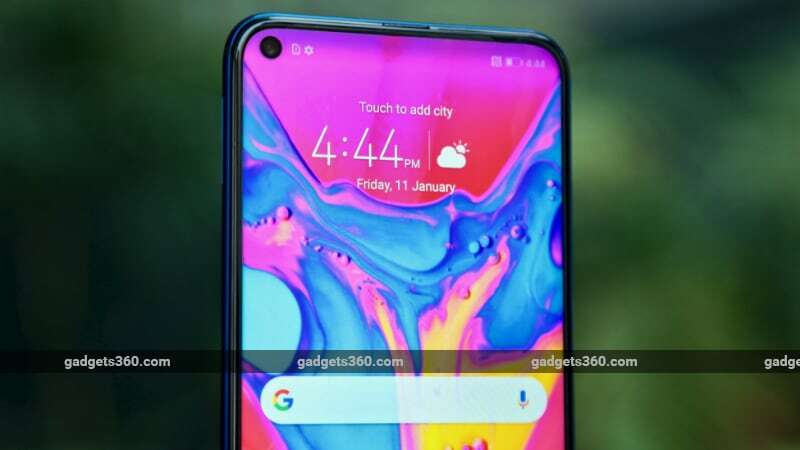 40,000, it is poised to compete with likes of OnePlus 6T (Review). Honor has streamlined its software package which has long been the weakest link of the company's smartphones. The specifications are also top of the line and the display looks gorgeous. Though pre-bookings of the smartphone are now open, we suggest you stay to tuned to Gadgets 360 for our detailed review of the Honor View 20, in which we will extensively test the phone's performance, software, cameras, and battery life, and deliver a final verdict. product Honor View 20 has a selfie camera display hole as well as a 48-megapixel rear camera sensor. 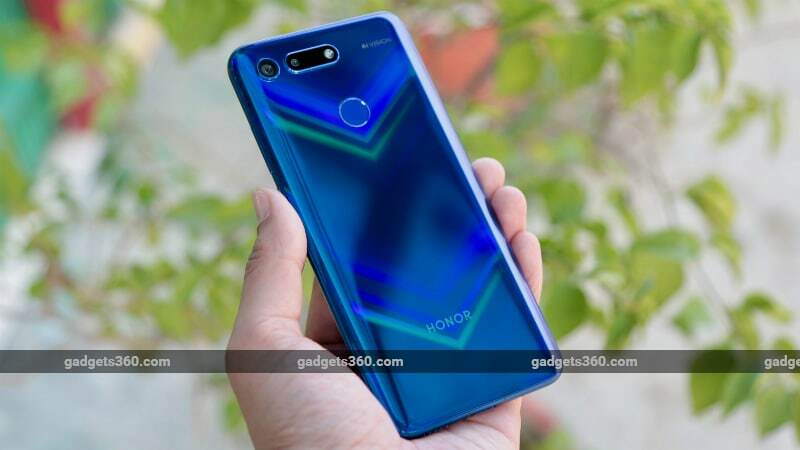 Honor View 20 price in India is set to be around Rs. 40,000.